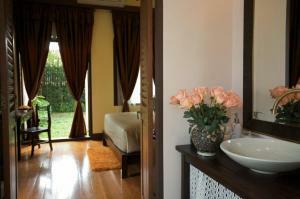 Praya Palazzo is an elegant villa by the Chao Phraya River, a graceful oasis in the middle of busy Bangkok City. 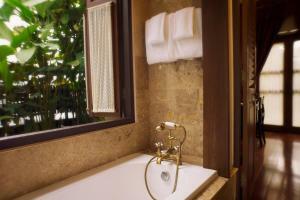 With free Wi-Fi, it also has an outdoor pool and art gallery. 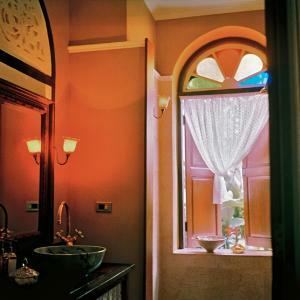 Inspired by traditional Italian art and architecture, all air-conditioned rooms come with a flat-screen TV, DVD player and free bottled water. 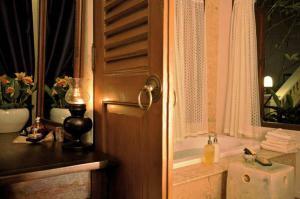 Attached bathrooms include premium spa toiletries and hot-water showers. 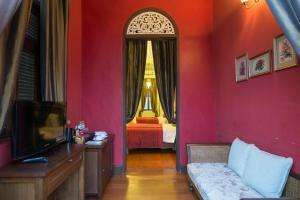 Praya Palazzo is accessible from Rajathiwas Temple Pier and Phra Athit Pier. Suvarnabhumi International Airport is 28 km away. 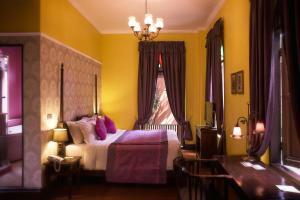 Nearby attractions include Khaosan Road and The Grand Palace. Guests can enjoy afternoon tea at the library, while reading about Thai culture and history. Built with natural lava tiles, the 15-metre riverside outdoor pool is lined by sun loungers. Praya Dining serves authentic Thai and Mediterranean cuisines, with the choice of either indoor or romantic riverside dining. A daily breakfast is also available there. Please note that the property is only accessible by boat. The hotel provides free private boat transportation from and to Rajathiwas Temple Pier and Phra Athit Pier. Please note that the property cannot accommodate children under the age of 12. 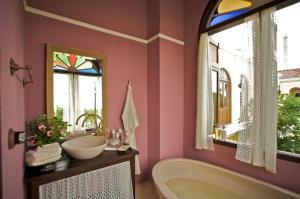 Rooms are located on the ground floor or second floor, they come with a walk-in shower. Rate: THB 3972.38 ... THB 13096.50; select dates below to get current rates. 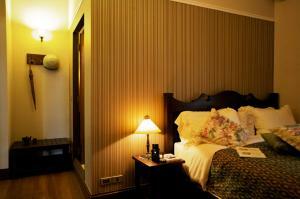 Rooms are located on the ground floor or second floor. They come with a bathtub. Rate: THB 6607.21 ... THB 6795.99; select dates below to get current rates. 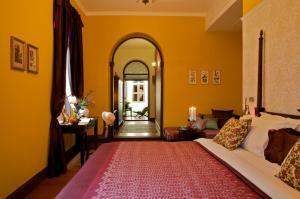 Spacious suite features a seating area overlooking a private garden. Elegantly designed, this spacious and luxurious suite features a separate living area and deluxe bathroom with river and garden views. 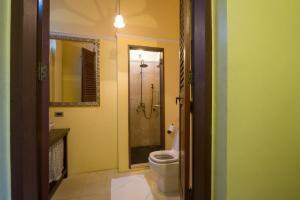 An additional bathroom is included.